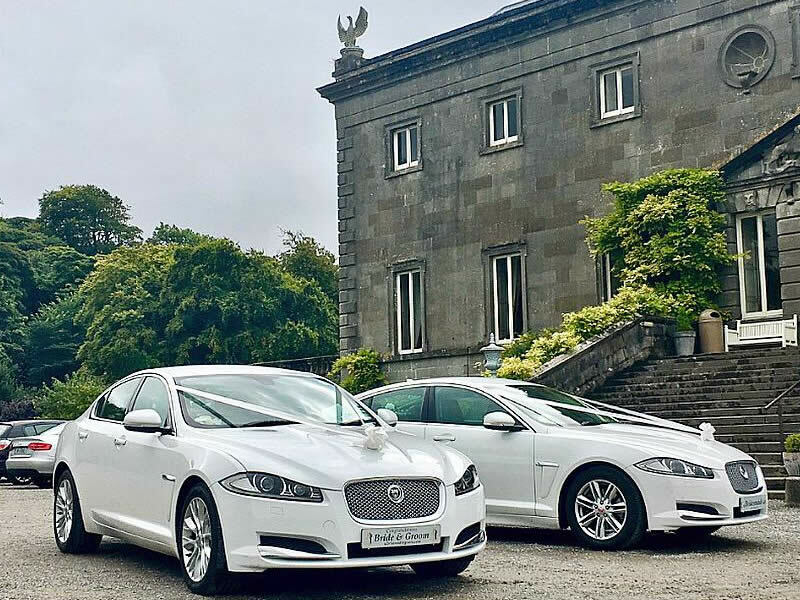 The Jaguar XF is the perfect contemporary luxury wedding car. 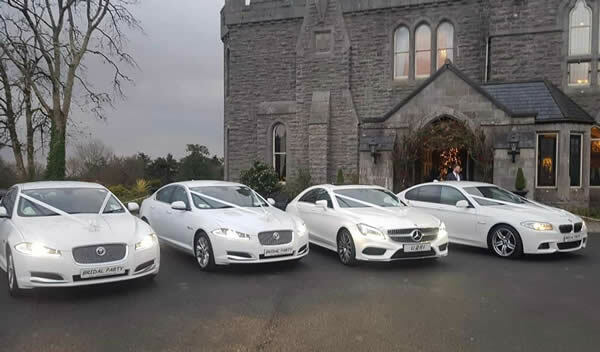 It is sleek, powerful and a little bit different. 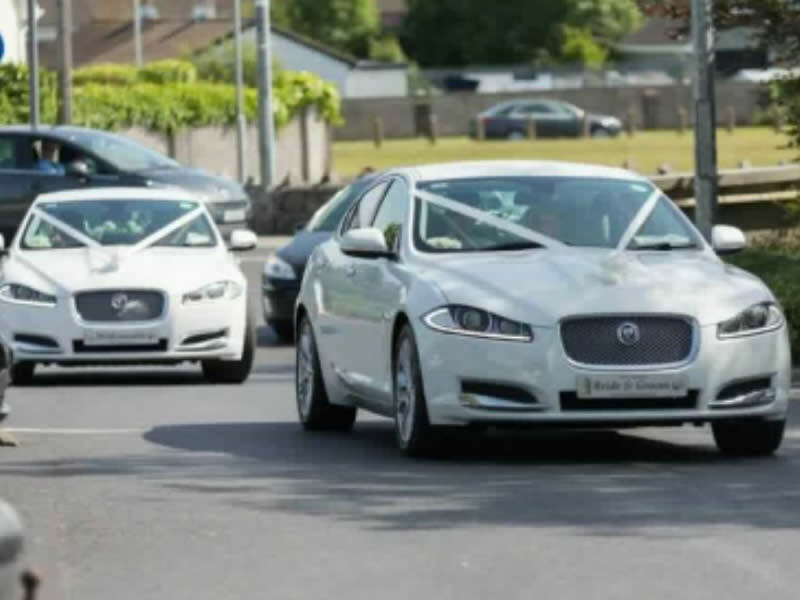 Arrive in a Jaguar XF and you will certainly get noticed. 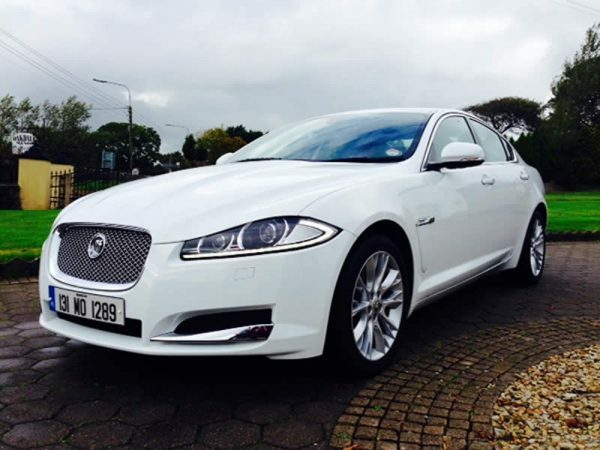 We have two identical (white) Jaguars XF, both with white leather upholstery. 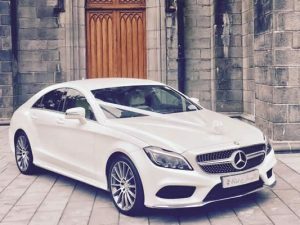 The rental cost for this car will depend on the distances and to be travelled and the selected options (personalised number plates, champagne, additional decorations). 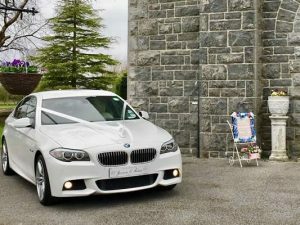 The rental fee includes a chauffeur as well as standard car decorations (ribbons, rosettes, flowers ). 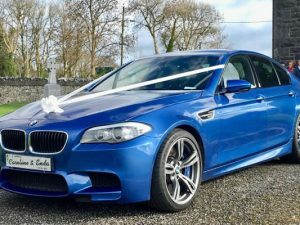 Please call our office to check the availability and the final rental cost of this car before booking. Depending on your age, there are a number of images that spring to mind when you mention a Jaguar. 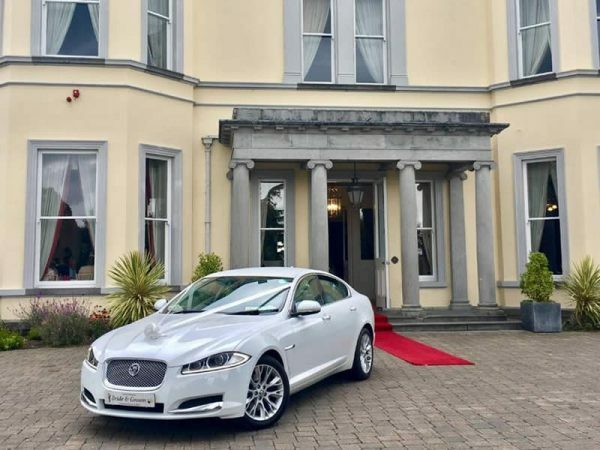 The ’50s and ’60s Jaguars were the preserve of bad boys – the bank robbers, the Kray twins, the Jaguar of that era was a perfect getaway car. In the ’70s and ’80s, the car lost its cool appeal. 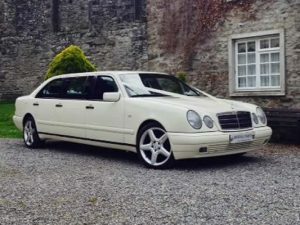 It was the car preferred by antique dealers and middle-aged guys in golfing/boating gear that never went boating or golfing. Fortunately, the new Jaguars have returned to their bad boy roots. They are simply awesome. 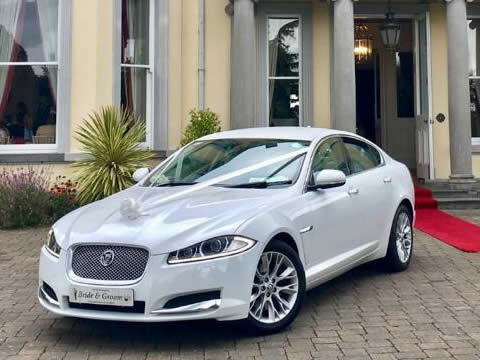 The Jaguar XF distinguishes itself from its rivals, such as BMW 5 Series, by placing great emphasis on styling, both inside and out. 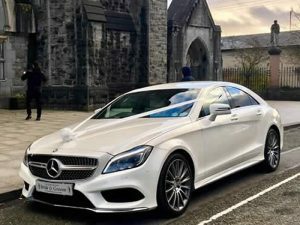 The cabin boasts plush leather upholstery, genuine wood trim, heated seats, dual-zone automatic climate control, a sunroof, 250-watt, 10-speaker AM/FM/CD stereo with iPod and USB ports, a seven-inch touchscreen display and Bluetooth smartphone connectivity with audio streaming. The attention to detail is simply unbelievable. 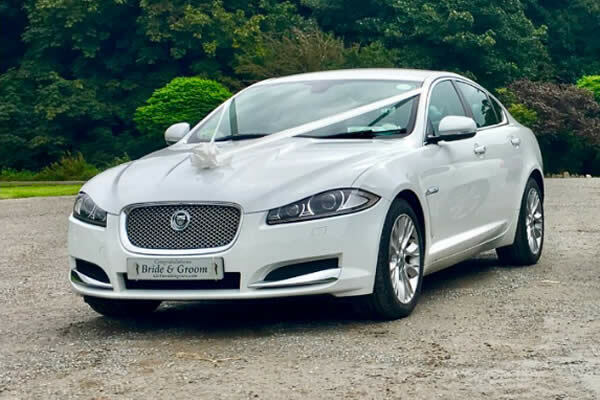 Due to its sporty and classy appearance, Jaguar XF is frequently used as the car for the Groom and the Best Men. 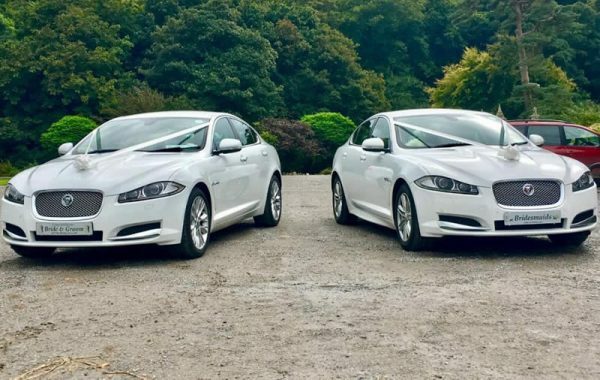 Alternatively, our two identical Jaguar XFs would be suited for bridesmaids and groomsmen.